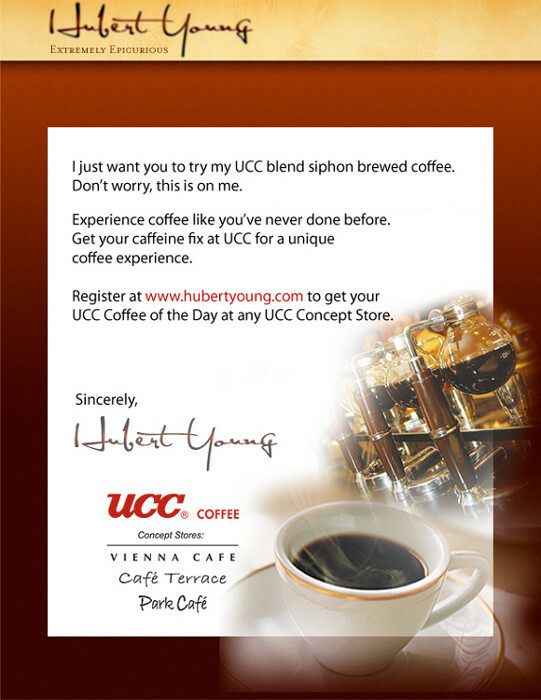 UCC Vienna Coffee is known for making and serving brewed coffee using a siphon coffee maker. For those who have not yet tasted the UCC Vienna Coffee, now is the time to hit the store and savour the good brewed coffee. Herbert Young is treating us for a free cup! Just register at www.hubertyoung.com. You will get to choose the nearest UCC Vienna Coffee store from the list. Once your registration is successful, you will get a notification from your email which you need to present to the store to claim your coffee. Redemption will be from September 8 to November 30, 2010; or until supplies last.